Devil’s Due Publishing president Josh Blaylock talks about his company’s upcoming Vampire Hunter D reboot. 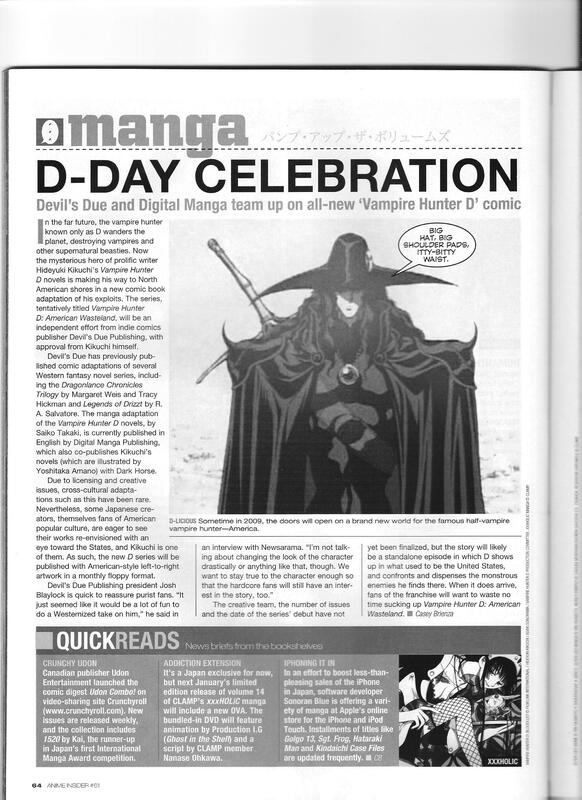 This entry was posted in Old Magazine Articles and tagged Borderline Plagarism for the Freedom of Information, Josh Blaylock, Manga, Vampire Hunter D by torisunanohokori. Bookmark the permalink.